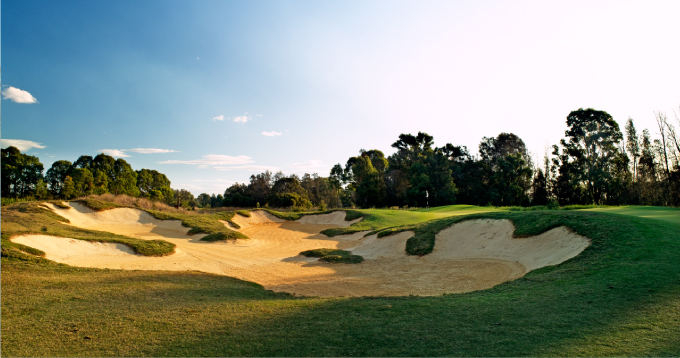 At only 302 metres in length off the back tees, the 3rd is a real challenging golf hole. The ideal tee shot will carry across the corner of the creek to a generous landing area short of the green. A short wedge to the green and two putts is all that is required for a par. However, be warned that the green hides many dangers. 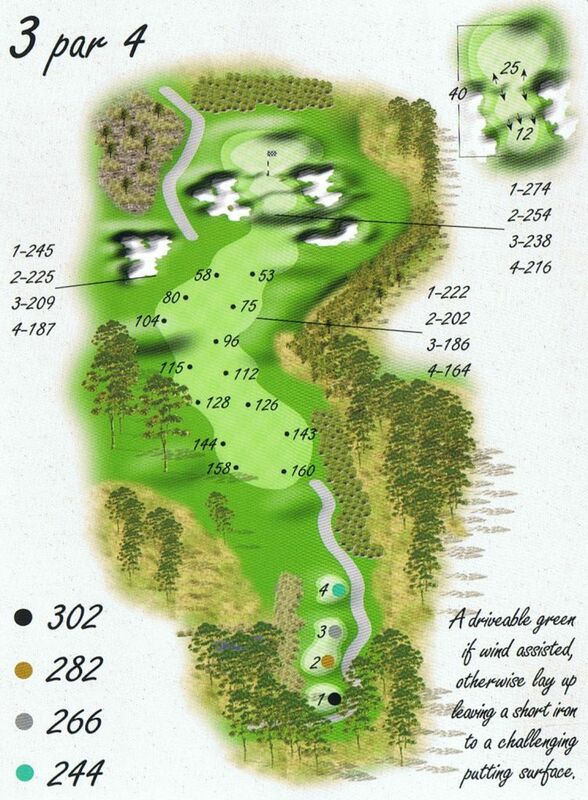 With four distinct pin positions and surrounded by bunkers this green will severely test all but an accurate approach. Those players feeling courageous can go for the green in one.